The increasing trend of development of assistive technology allows for the use of assistive robots such as power assist devices to be prevalent in various social domains. Such power assist devices usually provide incidental power to their users, requiring human-machine force interaction. If the power assist device requires users to release their muscular force without considering adaptive time, users might be confused to control the level of their manual performance in response to the external force. This study investigated adaptive time with varying release rates of isometric force during one-arm elbow flexion, focusing on muscle activity and force control. Eight participants conducted graphical force-tracking tasks designed to simulate power-assist condition. Electromyography signals and the tension forces of the biceps brachii and triceps brachii were measured. The results implied that sufficient adaptive time for muscular force release induced better performance level with a smaller difference between the target force and the actual force. However, higher subjective exertion was also accompanied during the longer time for muscular force release. 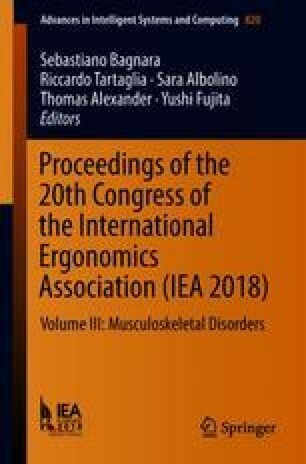 This study suggests that in designing power assist devices, the duration for muscular force release and consequent characteristics should be considered to maintain the precise level of force control.